And now I wanted to show you two things! One is a summary of the book and the second one is a presentation of the MAIN CHARACTER!! Who is excited? Raise your hand! I am raising mine right now!
" For sure, everything was easier when Audrey was not in the spotlight, but it was not half as fun as now. She is the daughter of a famous fashion designer and recently knows as the ultimate "It Girl". So when rumors start to spread, her life changes drastically. Figuring out who she really is, who se can trust and love, and over all who se wants to become is as hard as it has ever been. Creating a life in Hollywood, may be tricky but Audrey isn't everybody's favorite girl because of nothing..."
Since we are all fashionista and I wanted to put everything I have in this book. It obviously is full of fashion conversations... But I wanted to create a set with an outfit that actually Audrey wear to an event in the first chapter of the book ( which will be released as soon as I am done with the book or sooner I have to figure that out..). Isn't that exciting?? She is completely and madly in love with Edward, who is her High School boyfriend, but something will happen and things are going to change and she will have to grow up and wake up from her teenage dream. She is a senior in high school, but the story starts in the end of the year. My favorite part about Audrey is how she is finally being herself after years and years of trying to be perfect for everybody now she's showing the world how powerful and talented she really is. She is not a wannabe that needs a man, but when she falls in love she does it completely and that leads to the most romantic situations. She is not afraid to talk about what she is feeling, which for me it is what makes her being my favorite character. Hope you guys like the post and do you want me to do a Question and Answer video about this book? Leave me your questions in the comments!! I have two Qs for you about your book - are there aspects of yourself in your main character? And how much do you think you'll be taking from your own life or experiences to put into the book? I have some questions for you : 1. What has been your favourite part of writing the book so far? 2. How and when did you decide that you were going to write the book? 3. Can you tell me a bit more about Edward as a character I am interested in it! Congratulations! you are my role model, you follow your dreams like nobody I have ever met! of course I have a question! Which is your favourite character? Is there romance in the book? U remind me of Olivia Palermo, you two are classy elegant powerful woman, so proud of your work! I think it is a great idea making a question and answer video so here is mine: There is a bit of you in just one character or is it in more than one? I love your blog & I love you so much! you are the sweetest blogger ever :) Love your style :) So happy for you, I am looking forward to read the book but I want to ask you something... How long does it take you to write a chapter of it? You are a real It Girl! I love your enthusiasm I want to know if you had to be one character of the story which one you will be, a part from Audrey? Congratulations on your book, dear! Thanks a bunch for stopping by and commenting! Ofcourse I'd love to follow each other! Well, in fact, I'm already started following you, some time back, on GFC as Juneli. Do let me know if you can spot me in your GFC list. Gorgeous blog, I really love it ! Congratulations on the novel! Can't wait to read all about it. 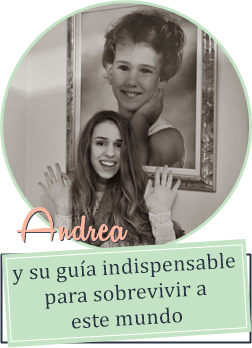 Thank you so much for your sweet comment, Andrea! congratualtions honey, you deserve the best! great blog! love these outfits!